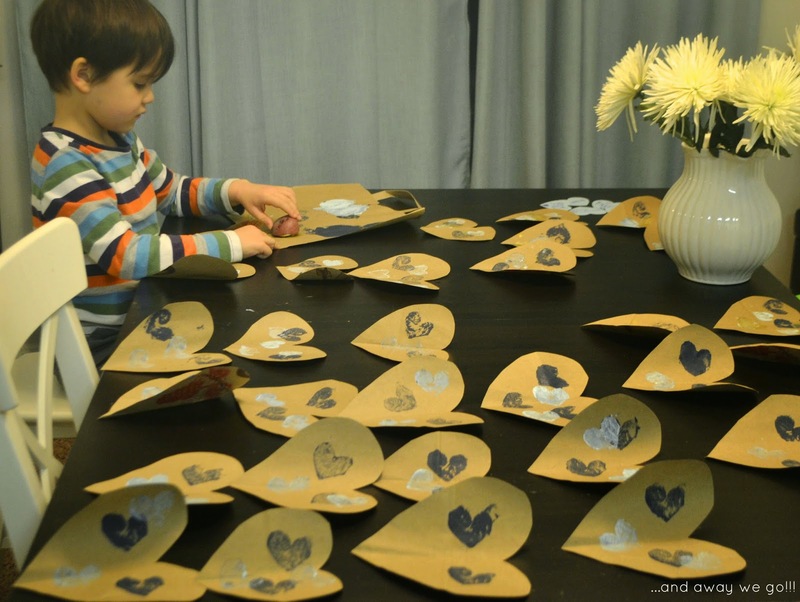 This year, Andrew's preschool class will be having a "Love Note Exchange" to celebrate Valentine's Day. He attends a Nature Preschool where they focus on teaching children to conserve and be kind to the environment. 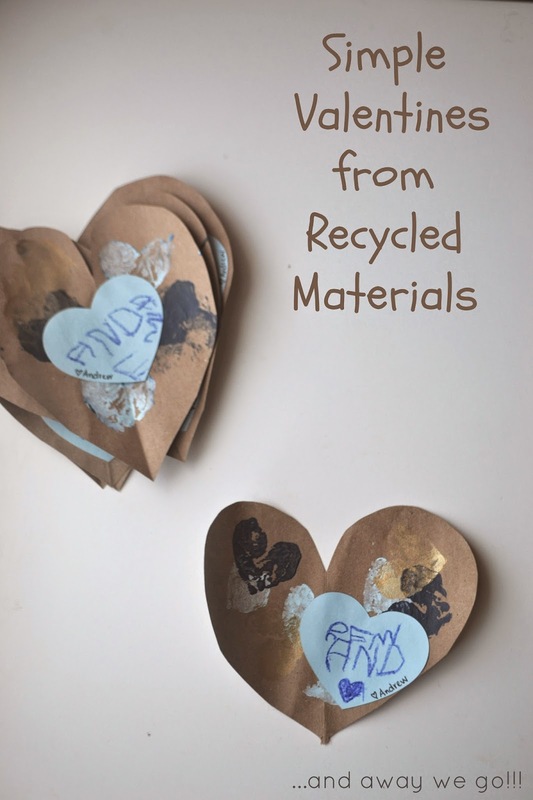 To this end, they have asked that we work with our kids to make simple valentines out of recycled or natural materials. How efficient is that?? Eight hearts from each bag, in less than a minute!! potato stamp and some acrylic craft paint. 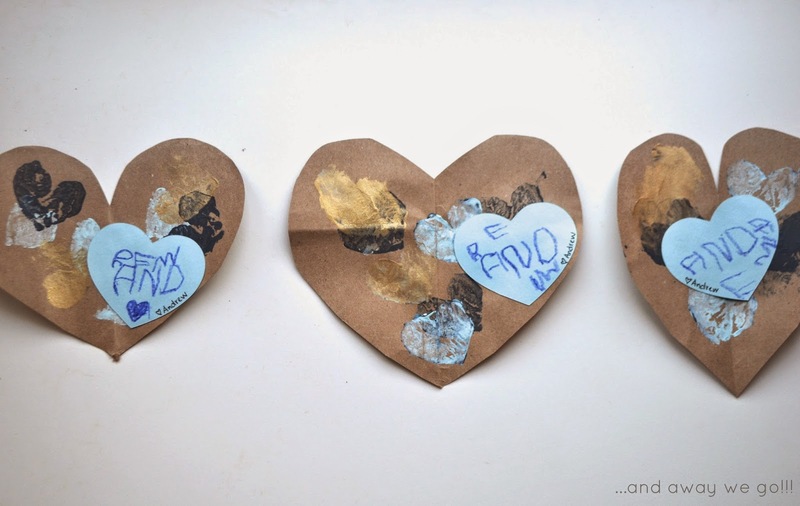 He then wrote his name on a smaller heart that we glued to the brown paper. 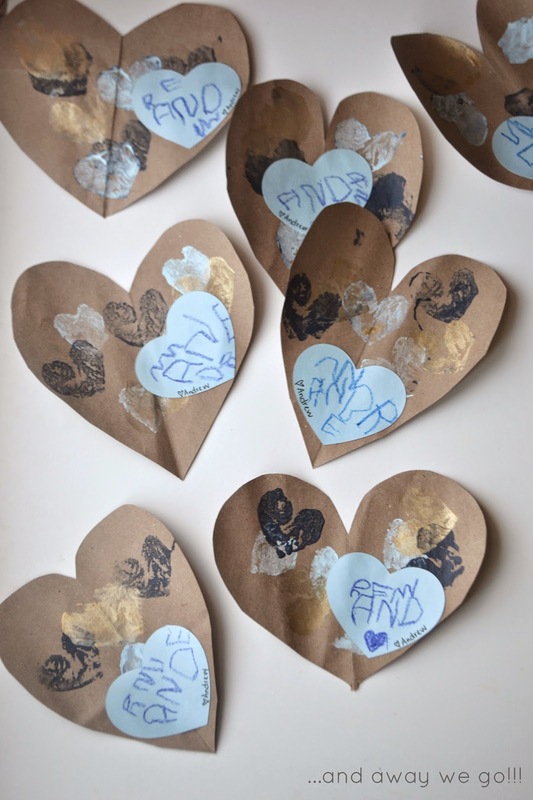 I think encouraging the class to exchange handmade Valentines is a great idea. 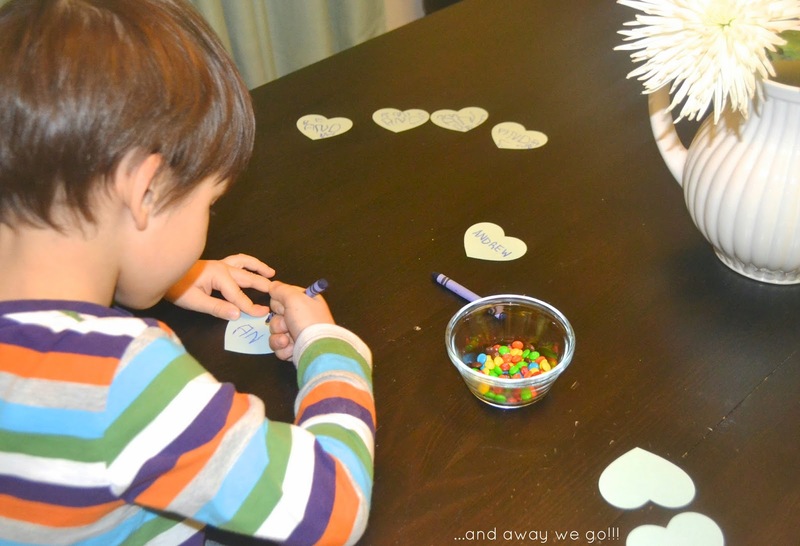 It gave us a purposeful way to work on some cutting, gluing and printing skills and Andrew is proud of the little "love notes" that he made for his friends. What a good job Andrew (and Mommy)!